“Like Crazy” (Folles de Joie in French and originally titled La pazza gioia), an Italian-French production, had its Los Angeles premiere at the COLCOA French Film Festival. The film won the Audience Special Mention Award at the fest. The leads of “Like Crazy,” directed and co-written by Paolo Virzi, bear this out on-screen in a uniquely dysfunctional and hilariously messed-up way. You may remember Valeria Bruni Tedeschi from the 2013 films “Human Capital” or “A Castle in Italy” (she directed, co-wrote and starred in the latter). After seeing this film, you won’t soon forget her. In “Like Crazy,” she plays Beatrice, a chic, snobby, well-to-do party girl a bit past her prime who never stops talking and namedropping. Sure that she does not belong there, Beatrice decides that her fellow residents are freaks with the exception of a withdrawn, depressive 20something named Donatella (Micaela Ramazzotti), who also happens to be drop-dead gorgeous, extremely expressive and endlessly watchable as an actress. She too will remain in your memory long after the credits roll. Beatrice insists that she and Donatella will be pals and sets about grooming her as a sidekick. Donatella doesn’t have the strength to resist her overtures and when Beatrice finds a way to break free from the group home, Donatella doesn’t need much convincing. Thus begins a spree of sweet-talking and stealing, boozing and barhopping, haute hustling and hightailing it from the cops and the admin staff at the home. Smart, funny and deeply touching, thanks to Virzi’s deft and soulful directing, “Like Crazy,” is a stellar addition to the commedia all’Italiana tradition. 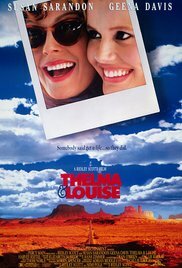 It also reminds us of classic road-trip movies, such as 1991’s “Thelma and Louise” (directed by Ridley Scott and written by Callie Khouri), and is reminiscent of the days when American movies featured authentic, fleshed-out characters with human flaws and quirky peccadilloes. Having a woman’s input (Virzi co-wrote the script with Francesca Archibugi) lends “Like Crazy” a special nuance and sensitivity. 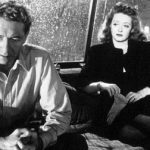 Granted, the film follows a fairly conventional structure but all of the filmmaking elements – in particular the writing and acting – are presented so honestly, so movingly and with such consummate skill that we are swept along for one hell of a ride. “Like Crazy” opens Friday in Los Angeles at the Laemmle Royal Theatre and the Laemmle Playhouse 7.